Christmas will be over by the time you get this, but you know you will have been (as always) in my thoughts and prayers. Let us hope that both of us will have been given Grace, amidst all this ghastly commercial racket of ‘Xmas’, to enter into the feast of the Nativity: the racket has nearly smothered it! Source: C. S. Lewis, The Collected Letters of C. S. Lewis, ed. Walter Hooper, vol. 3 (New York: HarperCollins e-books; HarperSanFrancisco, 2004–2007), 1113. Note: We will hear more from Mr. Lewis, in a future post, about the topic of commercialism vs. Christmas. 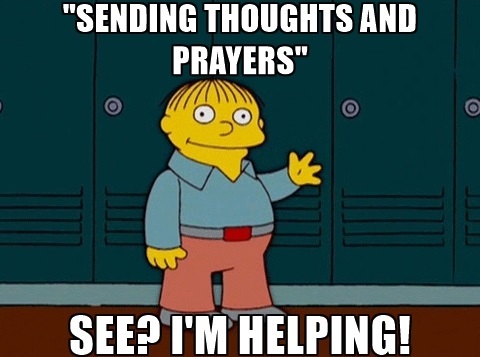 To be quite frank, when I see people use trite and overused expressions like “thoughts and prayers” or “prayers sent,” I usually consider this to be politeness in the most minimal sort of way. Oh, my very dear friend from second grade has lost their home and favorite teddy bear in a hurricane? How [somewhat] sad. I’d better make them feel better by using the phrase “thoughts and prayers” on their social media status! It just seems to me to be quite hollow, and yes – I’m guilty of offering hollow promises of prayer as well. Of late, I’ve tried to be very careful about telling people that I would be praying for them, and endeavoring to do so either immediately before or immediately after letting them know. As noted, I was a bit surprised, even saddened, by C.S. Lewis using “thoughts and prayers” in a letter, which made me curious as to how long, precisely, the phrase has been around. If you’d have asked me yesterday, I would have assumed that it came into our vernacular sometime around 2005 or so – the early days of Facebook and Myspace statuses. Its use 1959 surprised me – that seemed quite old for such a frequently used phrase of today. Turns out the expression itself is at least hundreds of years old. Aww…My heart is strangely warmed. For instance, “thoughts and prayers,” was a commonly used phrase in the 1800s, evidenced by this quote from the “Methodist Magazine” (or “Evangelical Repository”) of 1805, “Let us frequently address our most ardent thoughts and prayers to the fountain of everlasting light, to disperse our darkness, to enlighten our hearts, to teach us his will, and conduct us in the way of understanding. In his light we shall see light.” The great Charles Spurgeon even used the phrase at least a dozen times, including this line, from his autobiography, “What a walk it was! 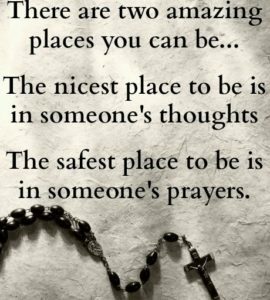 What thoughts and prayers thronged my soul during that morning’s journey! It was by no means a warm day, and therefore all the better for the two or three hours of quiet foot-travel which I enjoyed.” (Note: Spurgeon apparently didn’t use the phrase in our current way of use, i.e. 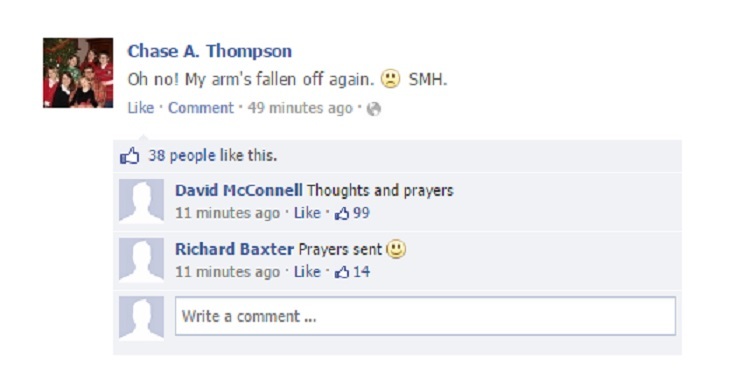 “you are in my thoughts and prayers.”) That noted, the phrase “thoughts and prayers,” did not originate in the 1800s. It is yet quite a bit older. In the 1700s we find a few scattered uses of “thoughts and prayers.” Hymn writer Phillip Doddridge uses the expression in his paraphrase of the New Testament, “The concerns of the churches, and sometimes of far distant churches, will have a place in their thoughts and prayers at such solemn seasons.” Speaking of hymn writers, perhaps the most famous hymn writer in history, John “Amazing Grace” Newton, also uses “thoughts and prayers,” and does so in much the same way that thousands of people on social media do every day in 2016. In a letter dated August of 1796, Newton writes “I long to hear of Mr. and Mrs. W.; they are often in my thoughts and prayers.” Even this letter, however, is not the oldest use of “thoughts and prayers” in the English language. For that – we have to go back at least one hundred more years. “Dear sir, Though in your late absence, I did not visit you with my letters, not knowing at this distance how to direct them to you – yet I do assure you, that you were nevertheless often in my thoughts and prayers, and, that way, I hope you did hear from me by Him whose eyes run to and fro about the earth.” Source: July 1673 Letter from Reverend Phillip Henry to a Reverend Francis Tallents. P.S. For those interested in etymology and word/phrase history, you might be interested to know that John Chrysostom may have been the originator of the phrase, “love the sinner, hate the sin,” in the 300s A.D.! I have seen St. Augustine credited for first writing “with love of mankind and hatred of sin” in A.D. 424. But I haven’t followed the your link yet, could get interesting.